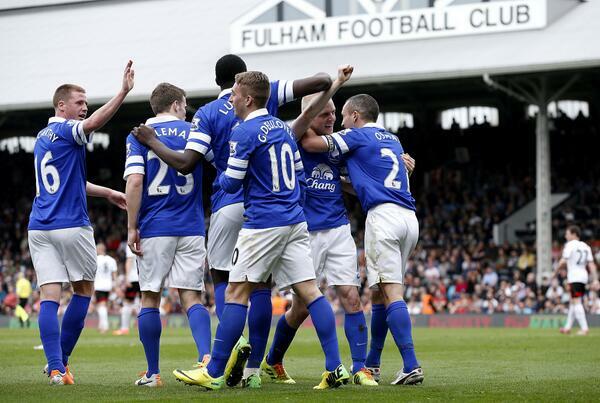 Steven Naismith inspired Everton to a 3-1 victory over Fulham to extend Everton´s winning streak to five games. The victory leaves Everton just four points behind fourth-placed Arsenal with a game in hand on the Gunners, who visit Goodison Park this weekend. 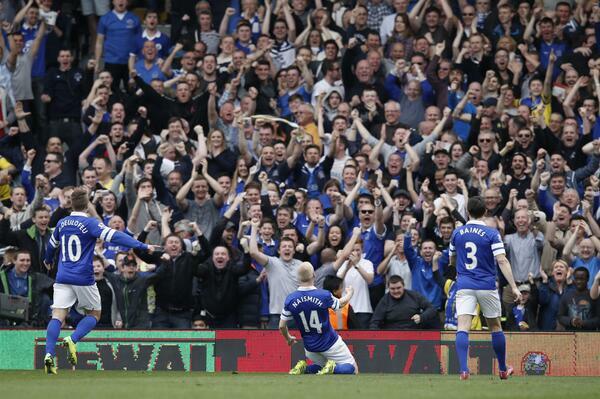 Everton took 51 minutes to take the lead. Steven Naismith, a half time substitute for Ross Barkley saw his long-ranged volley deflect off Fulham ´keeper David Stockdale and into the net. Fulham, fighting relegation, equalised 20 minutes later through Ashkan Dejagah, who´s superb strike left Tim Howard no chance, though Everton had every right to feel aggrieved with Referee Anthony Taylor missed a blatant foul from Heitinga on Naismith in the build up to the goal. Everton reacted well and Kevin Mirallas´ latched on to Aiden McGeady´s pass and slotted home from close range before Steven Naismith tapped in to complete the victory.